Our membership system is now available for you with our 2019 fees. All SIOP members should have received an email message from our membership team reminding them to renew your membership. 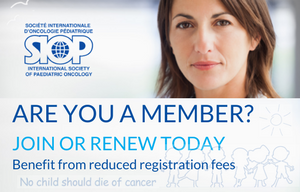 By popular request and based on a discussion during the last SIOP Board Meeting, we would like to inform you that we have two new features in our membership registration platform for you. These tools will allow you to either pay the membership for another member or donate a membership. You know the member personally? When renewing your membership, you will be able to see the option “Pay for another member” under Step 3 of the renewal process. Once you have entered his/her personal details and which category you would like to cover, a member of our team will get in touch with them for any updates or to complete their profile (new members). The additional fee will automatically be added for final payment. You would like to donate to any member? When renewing your membership, you will be able to see the option “Make a donation” under Step 4 of the renewal process. With this option you will be able to support a member from a LIC/LMIC and help to further develop paediatric oncology in these regions. 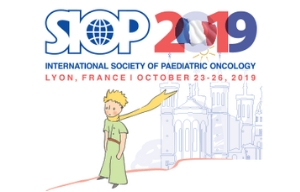 The SIOP Board of Directors together with the PODC committee will ensure a fair distribution of funds received.The additional fee will automatically be added for final payment.